Destination Bar/Bat Mitzvahs make a Splash! Ellen Paderson and Bar/Bar Mitzvah Vacations featured prominently in a recent Jewish Week article about the increasing popularity of Destination Bar/Bat Mitzvahs. Read the article here! Read Ellen Paderson’s Tips, Tricks and To-do’s to Cope with Jet Lag here at ModernSage.com. 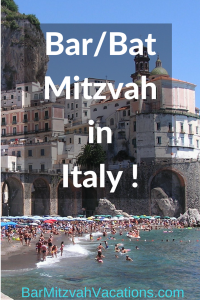 News article in AmericanTowns.com features Ellen Paderson & Bar Mitzvah Vacations Italy Program! Ellen and Bar/Bat Mitzvah Vacations were recently showcased in AmericanTowns.com, as innovators in Bar/Bat Mitzvah celebrations in the beautiful Italian region of Calabria. Ellen Paderson & Bar Mitzvah Vacations featured on MSNBC Online! 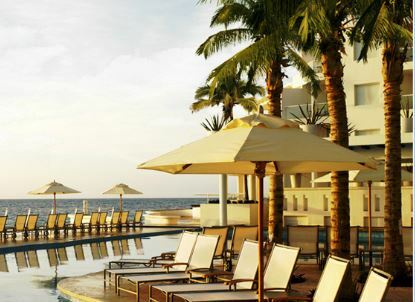 Bar Mitzvah Vacations clients rave about their Destination Bar Mitzvahs! Ship to Shore Radio: Ellen was a featured guest on Fran Silverman’s cruise show on BlogTalkRadio! Listen to Ellen’s tips and secrets for first-time and experienced cruisers! Click on Episode from July 15, 2010. 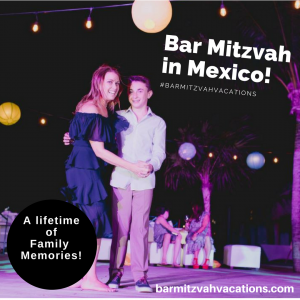 More Bar Mitzvah Vacations News!